Two people were killed and two critically injured in a traffic collision on the northbound 5 Freeway in the Pyramid Lake area, officials said. 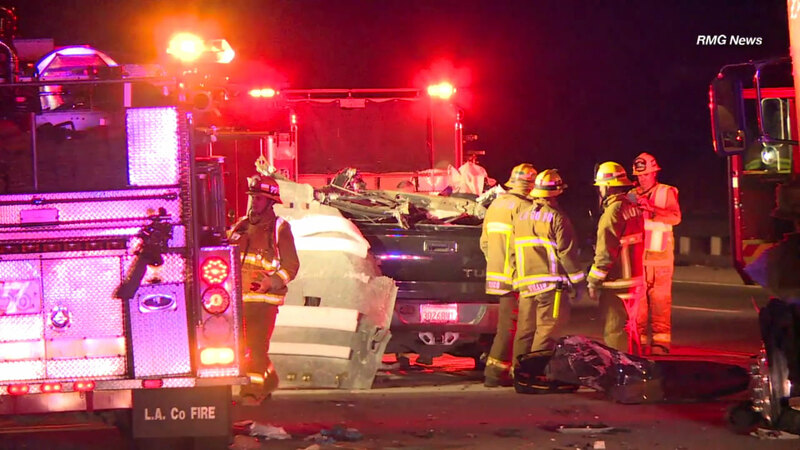 GORMAN (KABC) -- Two people were killed and two critically injured in a traffic collision on the northbound 5 Freeway in the Pyramid Lake area, officials said. The CHP has issued a SigAlert and is directing traffic around the collision scene. Three lanes were closed, with the fourth lane remaining open. The collision was reported around 8:40 p.m. near Vista Del Lago Road in the Gorman/Pyramid Lake area.